I don't know why I feel this incredible need to plan. It's just a part of who I am. But, especially now, at Christmas, I think about it all, and realize it doesn't matter. Jesus wasn't born in a location that Mary picked out 5 months in advance. He didn't have a cute hat or a special blanket that she put on him after his birth (at least not that I know of). Who knows how long it was before he even arrived back home? I'm certain he didn't arrive home precisely 2 days after birth, to a newly painted room, a fancy crib, and cute diaper covers. But, what can I do? I want to plan. I want things to be cute. I guess I just need to keep what's important in perspective. My baby needs parents to love him, a roof over his head, and food to eat. That being said.....I've been getting things checked off my list! 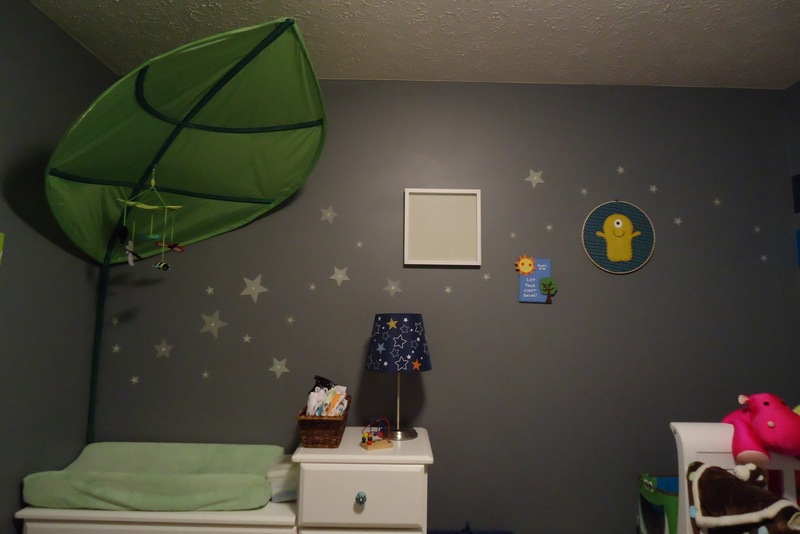 I finished the big wall in the nursery, which just about completes my decorating. I still have a few more finishing touches. I can't believe I haven't posted about this, yet. I know I told you about my entertainment center redo, but I didn't show you it's new home. Our laundry area was sort of awful. It's in the cold, lonely basement. I let it get very messy, and really let my laundry pile up. I started feeling sort of depressed. I know it's weird, but I figured it was a mix of stress and anxiety over my upcoming childbirth and parenthood, and the lack of crafting I have done, lately. Everyone needs an outlet, right? So, I spent my weekend crafting baby crafts. Got 2 birds with one stone. Did fun crafts, and got some things accomplished for Baby! I'll be posting separately about my baby crafting, soon. If you know or will ever know a pregnant woman, LISTEN UP! I came across this list of things you shouldn't say to pregnant women. Take a look at it. It's good (and the real life accounts at the end are funny). Constantly asking how she's feeling. This is just really annoying. DO NOT say that she is gaining weight. I have had someone tell me this. There are much politer ways to express that you can see her pregnancy...try "You are starting to show!" or "Look at your cute belly." Don't mention her weight. After she's been to the doctor, don't ask how the baby is, or how she is. I know this seems callous, but there are some pretty private things about pregnancy, and the Mom may not want to discuss this. Plus, if something is medically wrong with her or her baby, it's unfair to put her in a position where she may feel the need to tell you. She may not want to, and it's really none of your business. Horror Stories. OK. This is an absolute ABSOLUTE no-no. As if the mom isn't already feeling uneasy enough! You are simply adding to it by telling her what you probably just view as some crazy story. To her, it's a view of what could happen to her. Only talk about positive things regarding pregnancy and childbirth. Medical, nutrition, or physical limitation advice. Unless she isn't going to the doctor, she has already been told what she needs to be doing or not doing. Unless she shows desire for your input (or is seriously like smoking pot or something), you "reminding" her is probably going to be viewed as criticism. Reminders of how close her due date is. If she is at all anxious about giving birth, you are simply making that worse. Remind her how soon she'll be delivering, only if she verbalizes that she is "just ready to have that baby." I know you don't know what else to talk to her about (try talking about what you used to talk about, before she was pregnant...she IS the same person, after all), but try. I honestly feel like some of the worst parts about pregnancy are simply the ridiculous things that people say and do. Just for good measure...Here's a picture of me and my preggers buddy! I'm a bit farther along, haha. Sorry I have been sort of MIA. The holidays and life have kept me pretty busy. But, here I am in my third trimester. 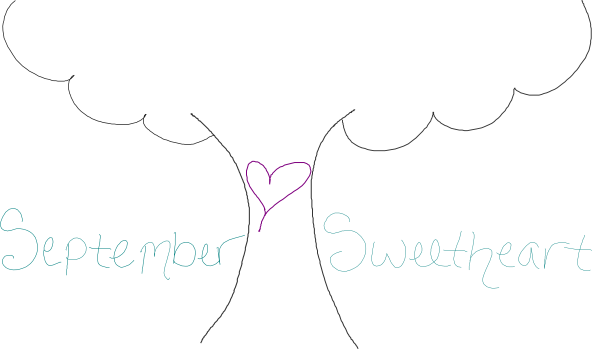 So far, it's possibly my favorite trimester! I always heard how miserable it was, but I've had pretty good energy, and actually forgotten that I was pregnant a few times. Must mean I'm feeling pretty good! Plus...there's the nesting. It's awesome! 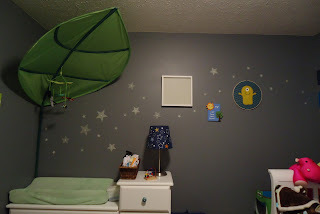 I went from feeling like I had tons to do in the nursery, to feeling like it's almost done! I even put up my bookshelves! !